Most vegetable gardeners have at least one type of bean growing in their garden each year. Not only are they easy to grow, but they are packed full of nutrition. 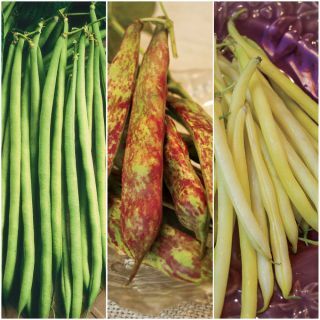 Green, yellow and even purple beans perform best when grown in full sun and for continued harvest, can be planted in succession. Pole beans require tall supports and can harvested all season. Baking beans, specifically grown for drying, are also easy to grow and are ideal for winter use in your preferred soup or stew recipe.